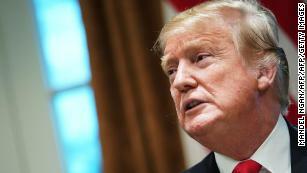 (CNN) President Donald Trump conceded Friday to mounting pressure that he reopen the federal government, agreeing to a temporary funding measure that would allow federal employees to return to work but that does not include the billions of dollars in border wall funding he’s spent the past month demanding. The outcome of the 35-day standoff leaves Trump politically chastened. With Trump’s signal of support, lawmakers are moving quickly to pass spending bills that would allow shuttered federal agencies to reopen. In his Rose Garden remarks, Trump did not appear conciliatory nor did he concede defeat; instead, he continued to paint the matter as a national security crisis and said another shutdown is possible if lawmakers cannot agree to new border wall funding. “As everyone knows I have a very powerful alternative but I’m not going to use it at this time,” Trump said after declaring he’d struck a deal to reopen government. CNN reported exclusively on Thursday that a national emergency proclamation had been drafted that would allow for potentially billions of federal dollars to be put toward wall construction. The measure Trump agreed to would allow federal workers to resume being paid as Democratic and Republican lawmakers convene to discuss the administration’s requests for border security funding. Trump spent the past weeks demanding that any measure reopening the government include $5.7 billion in funding for a barrier on the US-Mexico border, which was a signature campaign promise. 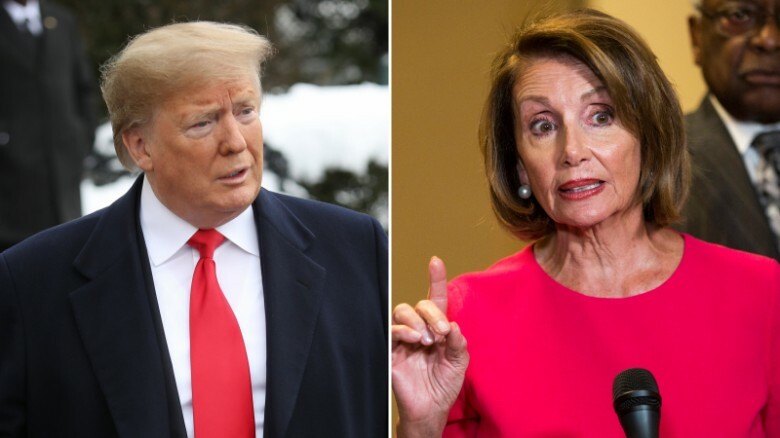 But amid mounting pressure from Republican lawmakers and a budding air travel meltdown, Trump yielded to Democrats’ request that government be reopened before the border wall funding issue be debated. The measures being considered by Congress include no new border wall funding. “Our unity is our power — and that is maybe what the President underestimated,” House Speaker Nancy Pelosi told reporters in the Capitol after Trump spoke. At a White House meeting with Hispanic pastors after announcing the temporary agreement, Trump said he was optimistic a more permanent deal could be reached. The standoff was also set to deprive Trump of a key presidential privilege: the yearly State of the Union address, which Pelosi said on Thursday could not occur in the House chamber while the shutdown dragged on. Trump was unwilling to deliver the address in an alternative location; it wasn’t clear Friday whether the speech would proceed after all. Speaking after Trump, Pelosi said she would discuss a “mutually agreeable date” for the State of the Union with the White House. The escalating political toll came as the consequences of the shutdown became more apparent. Pressure to end the shutdown increased on Friday after air traffic was delayed at two New York-area airports — LaGuardia and Newark — in addition to Philadelphia International Airport due to staffing issues at a Federal Aviation Administration regional air traffic control center. Trump’s aides, along with his outside political advisers and his allies on Capitol Hill, have worried major flight issues would amplify the blame Trump is already facing for the shutdown. They, too, believed that major disruptions to air travel would ramp up pressure to reopen the government without wall funding. Earlier in the day, one of Trump’s top allies suggested the delays could shake loose a deal.